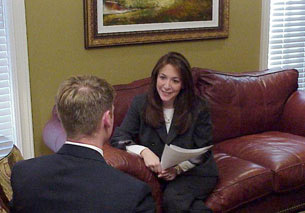 An additional, unique service provided by EHE is interview counseling. Using her own past interview experiences, as well as the feedback gained from numerous candidates and clients since 1993, Ms. Hoffman works with prospective candidates to improve their interviewing techniques. From basic suggestions to intensive, one-on-one "mock" interview sessions, EHE's interview counseling provides that extra edge that can make the difference between a successful or unsuccessful round of interviews.